Advertising your business in today’s time is mandatory for everybody. Especially if you are a new player in the market you have to put an extra effort in your advertising strategy in order to increase your brand presence. For those who have already got an established brand advertising is equally important to keep yourself and your brand are connected with your target audience and to increase your customer base. One such method of advertising in Dubai to promote your business is through outdoor marketing. And while outdoor marketing can help in yielding great response and can take your business to the next level need to keep in mind that you have to have and effective outdoor marketing strategy. This is because simply minus space to put up your babe old is not called outdoor marketing. There’s a lot more thought you have to put in an outdoor advertising campaign then just printing your message out there for your potential audience to see it. There are certain elements that you need to keep in mind in order to deliver your message correctly and to create a strong and a long-lasting impact on your audience. We have listed down some effective tips that can help in achieving a successful outdoor marketing strategy. This is extremely important if you want to succeed in your outdoor marketing strategy. Most businesses fail to achieve a great response through outdoor ads because they simply put up a single Billboard. You need to keep in mind that you will need to have placed more than one billboard in the city in order to succeed with your outdoor campaign. You have to ensure that your campaign reaches the masses. You can never create a strong impact when you only advertise your business through a single billboard. Make sure you place multiple billboards for a good impact. 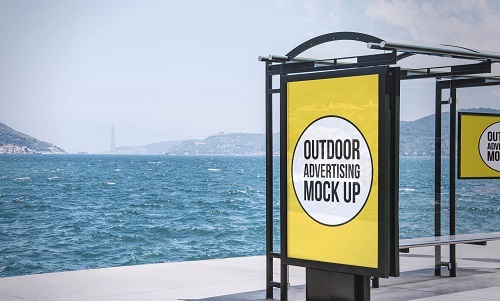 You need to find out who you want to reach to your outdoor advertising campaign depending upon the kind of product or service you are offering. Check out who will be interested in buying your products. You will have to do a good amount of market research nodded to find the right target audience and the right placement for your product. Decide upon a structured demographic that you would want to target and then find a billboard space near them for the best visibility. Factors such as household income, age, gender, and ethnicity need to be kept in mind. There are many billboards or outdoor ads placed in multiple locations in Dubai. To make sure that your dad stands out and that your campaign is the success you need to be extremely snappy, creative and to the point in order to share across the Message quickly. Factors such as visuals, font, color should be kept in mind before designing a billboard. You can find the best outdoor advertising agency in Dubai here.